How is a facade without isolation? On more than one occasion we have to think that something is wrong in our heating systems or air conditioning. Many times we put the heating at home and did not notice that the house comes into heat. The same goes for air conditioning in summer, ie say that although we still have cold air warm feeling. For what is this? Mainly, the cause of this problem is the poor thermal insulation of the facade. 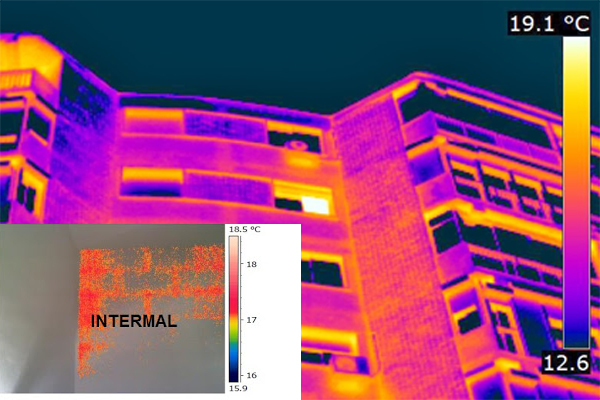 To find out if our facade has a good thermal insulation system, we recommend a thermal study. 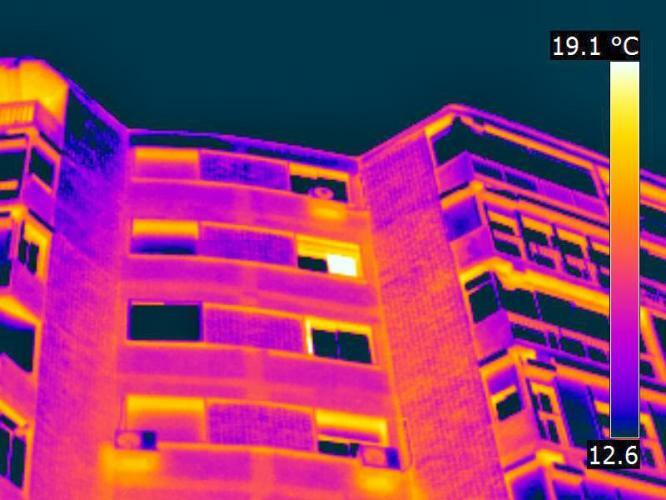 This study is performed by a thermal camera, which reproduces an image that indicates the degree of insulation of the facade. If our facade is not properly insulated, you will see important areas with lack of insulation, moisture or other problems that increase the feeling of cold (or heat in summer). It is a kind of radiography of the facade showing the behavior of heat, its modes of transmission and temperature. When our façade have insulation problems, it is highly recommended to rehabilitate. Currently there are aids to rehabilitation of buildings and facades that can cover us up to 35% of the budget of the work. Among the most effective thermal solutions are ventilated facades. As we have explained many times, represent savings of up to 40% in energy. Not only will avoid feeling cold, but also help us save money. With the rehabilitation or installation of rainscreen insulation errors are corrected, consumption is reduced and increases the quality of life of residents. In most of the rehabilitation works have been replaced by traditional old materials ventilated facades. While in Spain is beginning to become aware of the problem through aid schemes and a label energy certificate, in Europe is mandatory to rehabilitate housing to increase the insulation of facades.